Pay attention, or we'll put you in the dunce corner! "No replacement for displacement" is the adage that nearly all muscle heads speak with each prod of the go pedal. The saying, however, was born long before the muscle car ever came to existence and was said by a Brit. A badass brit, mind you by the name of W.O. Bentley. That slogan is a pedantic way of saying "bigger is better," which is true for most things. So, what exactly is displacement, how is it measured and Class is now in session kiddies, best get your thinking caps on. Engine displacement in simplest terms, is the amount of air inhaled by the cylinders. What does that mean? Combustion engines in essence, are fancy air compressors. Engine displacement is the swept volume of air moved inside the cylinders by the piston. It is determined via the bore (the diameter of the piston) and stroke (the distance traveled by the piston.) The larger the bore or stroke the larger the amount of swept air volume and thus the engine is more powerful. If you were to take a GM LS7, the bore is 4.125 and the stroke is 4.000. So how do you calculate total displacement? Time for maths. Calculating displacement is solved via the following: displacement = bore^2 x 0.7854 x stroke x number of cylinders. For the LS7 the equation would be as follows: (4.125 in)^2 × 0.7854 × 4.000 in × 8 = 427.6503 cu inches. 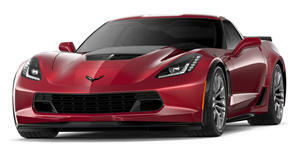 GM rounded down but the total nonetheless is 7.0-liters or 427 cubic inches. End maths. Is there a replacement for displacement? Yeah, there is. Forced induction is that answer. Hence why so many automakers have gone that direction. An explanation for how that works we will save for another time.